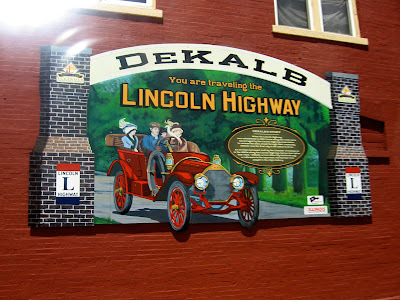 We made good time on the drive to Dekalb, so we had a little time to relax and hang out when we got there. 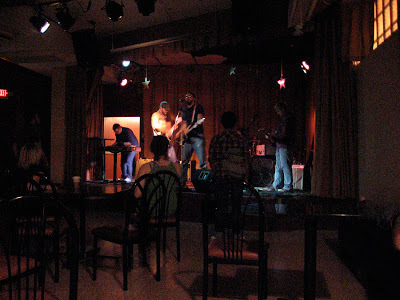 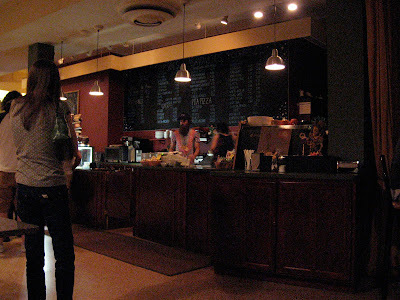 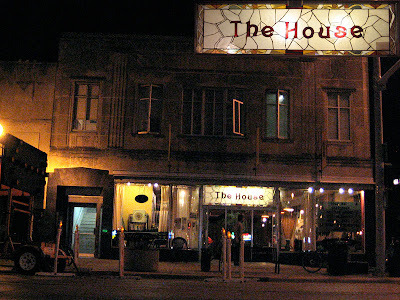 We had been to the House Café before, when we stayed in Dekalb back in March, but this was our first time playing the venue. 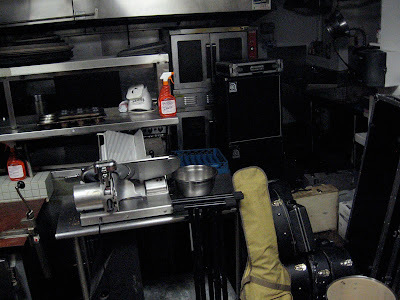 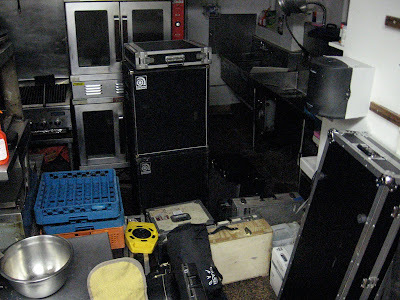 Since there were four bands playing, real estate for gear was limited, so we used the kitchen. 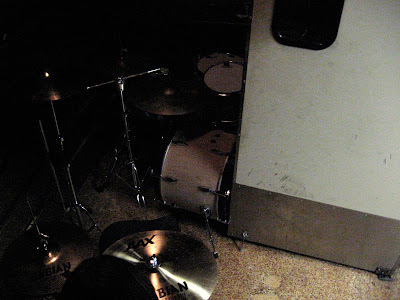 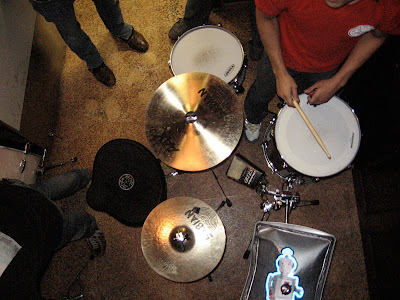 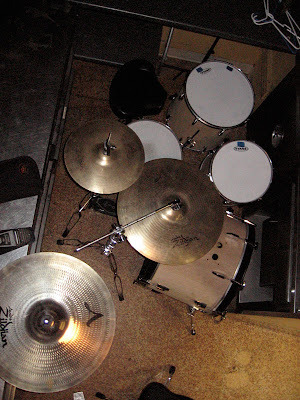 The drums got set up in the server station. 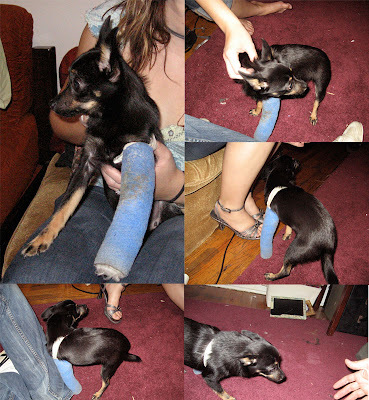 After the show, we headed back to our friend (and booking agent) Bojan’s house, where we got to meet his new dog, Ines, who was sporting the cutest/most hilarious cast on her leg. 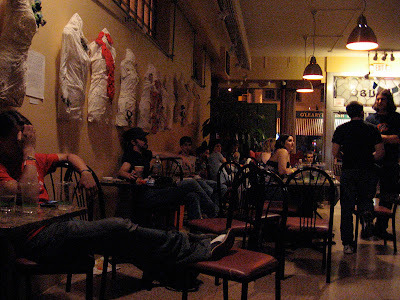 We hung out and played some "Pain" on PS3 for a bit, before calling it quits and giving in to our fatigue.